This week’s major contribution to the discourse on the Anthropocene was a cartoon. If you haven’t already seen Monday’s XKCD, an annotated graph of global temperature since the Last Glacial Maximum, you haven’t really got the hang of the internet yet. I thought about including an earlier XKCD comic as an illustration in the book: the comic that introduced the concept of “ice age units”—equal to 4.5°C, the approximate difference in global temperature between glacial and interglacial periods. (“If we enact aggressive emissions limits now, we could hold the warming to… only HALF an ice age unit, which is probably no big deal…”). And there are a couple of other masterly XKCD cartoons about climate—see here and here. All of those comics, it seems to me, are part of Randall Munroe’s bigger, recurrent project of trying to get things in perspective. Probably the most spectacular result of that bigger project was the Money chart in 2011; his radiation dose chart after Fukushima was in a similar vein. A large part of the problem of climate change is that it’s hard to get the measure of it. It’s hard to understand what the numbers, and particularly the timescales, that are involved really mean. The same goes for sea level rise, deforestation, extinction, and many other aspects of the ecological crisis. 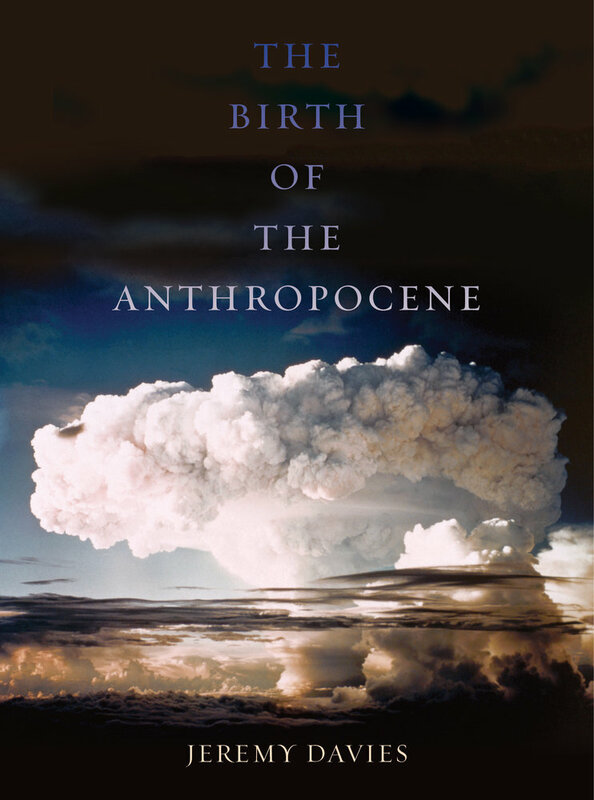 The central idea of all my writing about the Anthropocene has been that to understand the current crisis, we have to put it in the context of geological time: no other level of historical context will do. That concern with scale has been at the heart of how several other people have written about the Anthropocene too: Dipesh Chakrabarty, John McNeill, and Timothy Clark, among others. That ice age units comic is like a single-panel version of Mark Lynas’s Six Degrees—and Lynas’s much more problematic later work shouldn’t occlude the compelling force with which that book laid out what each degree Celsius’s rise in global temperature actually meant. Likewise, last Monday’s cartoon is like the final chapter of my own book in the form of a single (much funnier) infogram. The comic’s starting point, like mine, is that unkillable canard at the top of Skeptical Science’s list of climate myths: “But the climate is always changing!” Yes it is, and the cartoon shows what some rapid, disruptive past episodes of climate change look like, notably around the base of the Holocene at around 10,500 BCE to 9300 BCE. They still doesn’t look like the current crisis. The planet has blasted straight through the Holocene’s range of variability, climatically as in so many other ways. There are problems with that comparison. Some are caused by the inevitable smoothing of paleoclimate data (as the note on the comic at 16,000 BCE explains). A more important one is that the comic’s tracing of global temperature elides much more dramatic past regional-scale variations in climate. Someone’s written a mostly constructive critique of XKCD’s archaeology here—though that critique itself also has some issues, I think. But taken all in all, the earth temperature timeline is XKCD at its sly, polymathic, startling best. That last chapter of my book was called ‘An Obituary for the Holocene,’ and I’ve always worried that readers might regard it as a piddling and foredoomed attempt to squeeze a history of twelve thousand years into twenty-five pages. But the idea was never that it would be a historical survey in the normal way. I described it as—and I hope that readers will be willing to read it as—a “narrative timeline.” It’s a millennium-by-millennium description of events that’s meant to flesh out, for nonspecialists, the abstract idea of the dying geological interval. I’d be glad if people thought of it just as an elaborated version of XKCD’s slowly unrolling comic. Maybe Clark is right that the scale effects that come with the birth of the Anthropocene epoch can’t properly be grasped, and that our thinking needs to begin instead with an acceptance that all adequate sense of proportion has been irredeemably lost. But I prefer Randall Munroe’s idea that, with stick figures and Spinal Tap jokes, it might still just about be possible to open one’s eyes to the crisis.